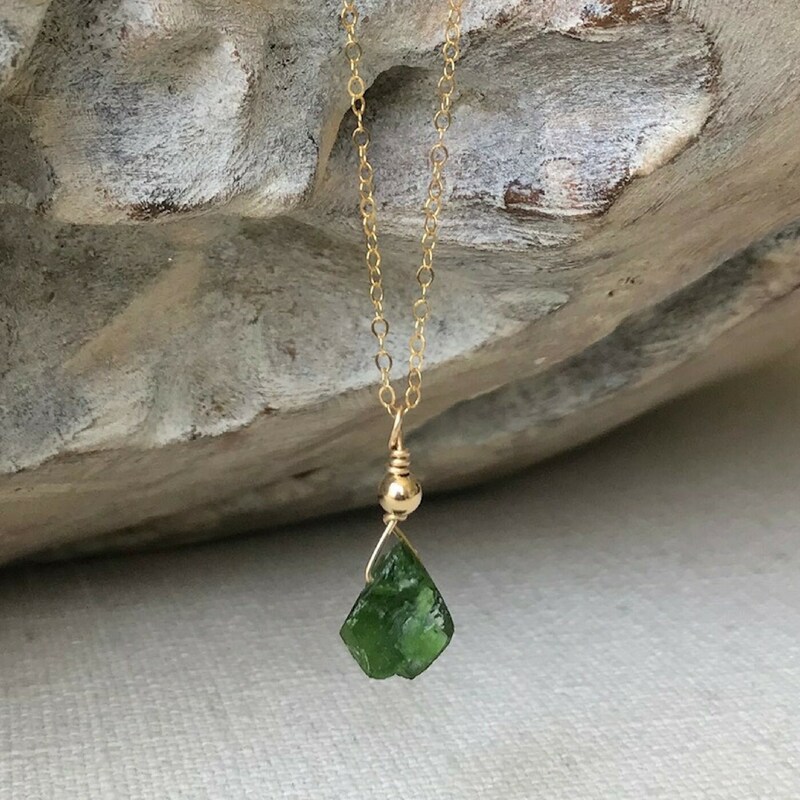 Available in gold filled or sterling silver, this beautiful natural raw chrome diopside teardrop is layered with a smooth bead and dangles from a cable chain finished with a lobster claw clasp. Simple and elegant on its own and also makes a wonderful layering piece. 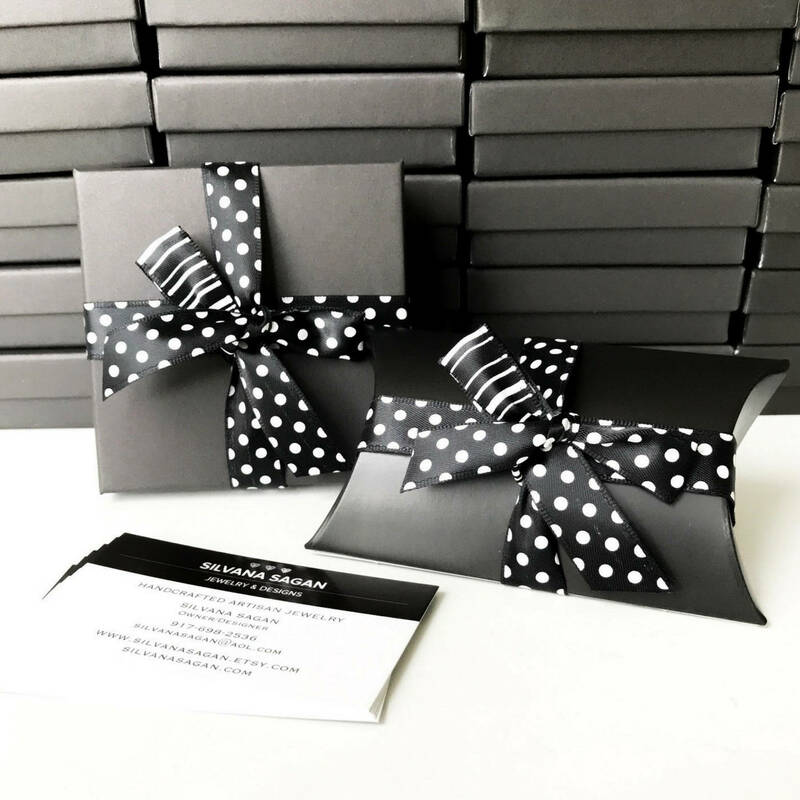 A perfect little gift for a May birthday girl! 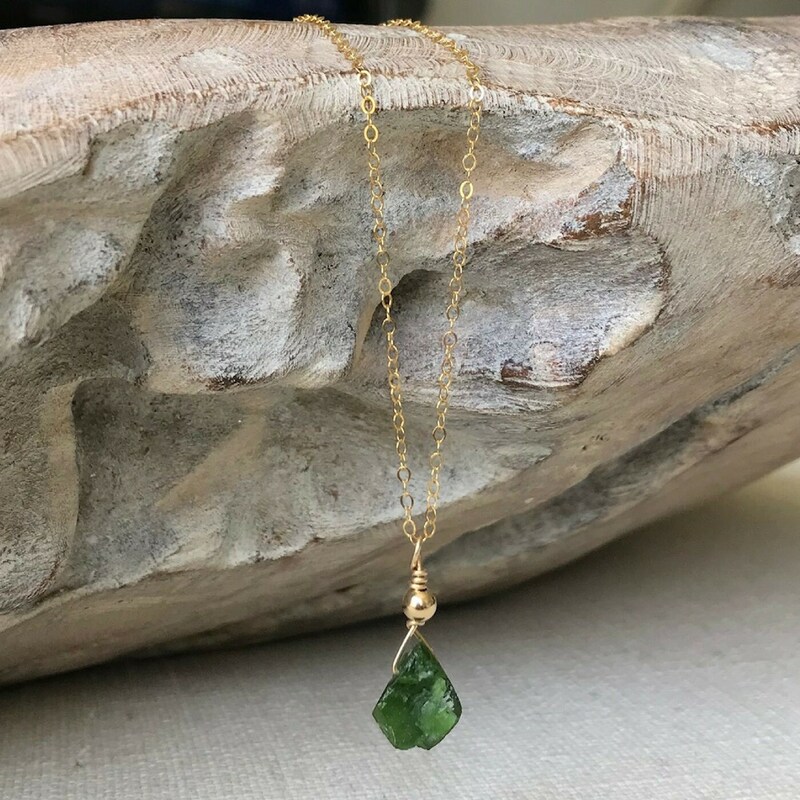 Chrome diopside has such a beautiful natural emerald forest green color and rivals that of emerald and tourmaline. 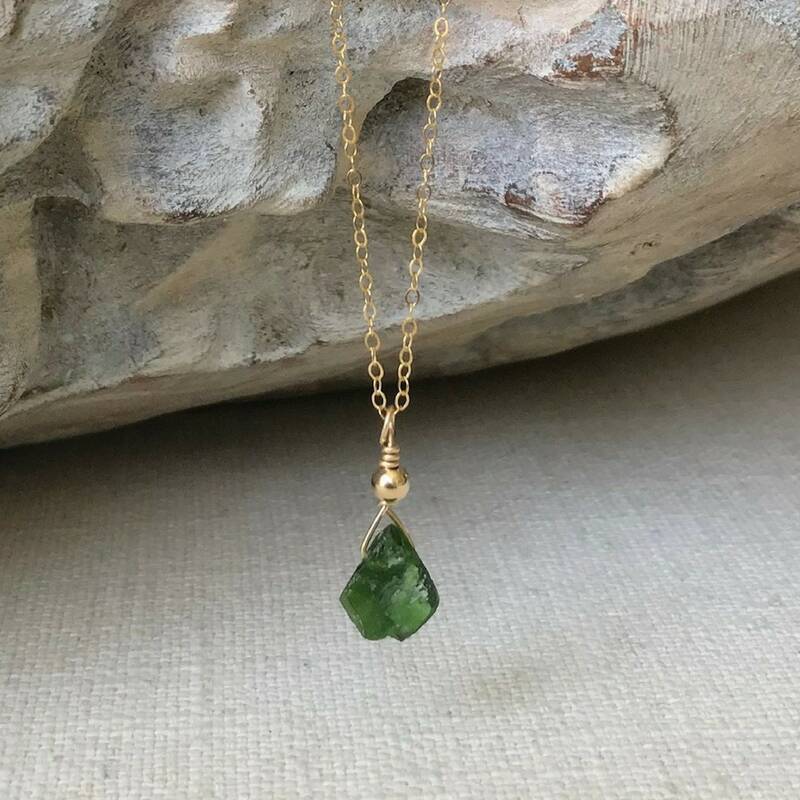 Naturally occurring green stones are rare and as rare as this stone is it is still wonderfully affordable. Please select your preferred chain length of 16", 18" or 20 from the drop down menu at check out. Do not hesitate to message me should you prefer a different length. The raw chrome diopside is approx 12-15mm.